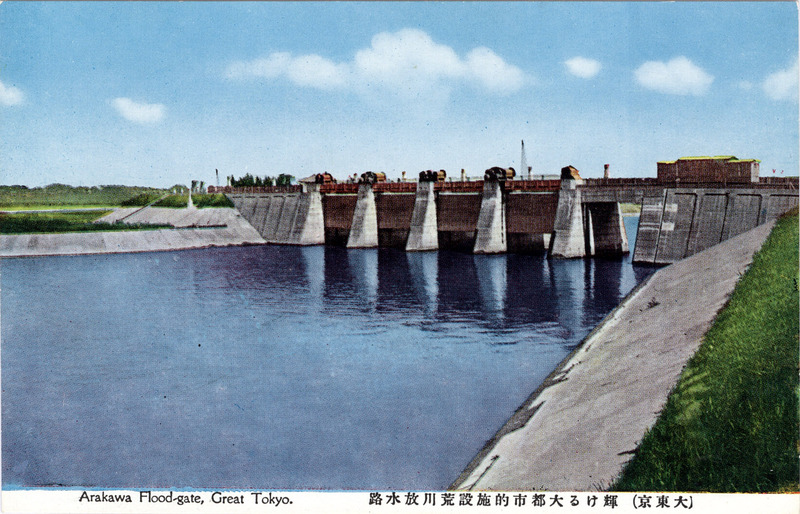 Arakawa River Floodgate, Tokyo, c. 1940. Arakawa River flood-gate, Tokyo, c. 1940. “The great flood of late Meiji  was the last to devastate the center of [Tokyo]. In 1917, the Kabukiza, east of Ginza, was knee-deep in water, but that was because a typhoon blew the bay inland. The Arakawa Drainage Channel was begun after the great flood and finished on the eve of the earthquake . Even before its completion, it worked well, controlling the torrential rains of 1918. 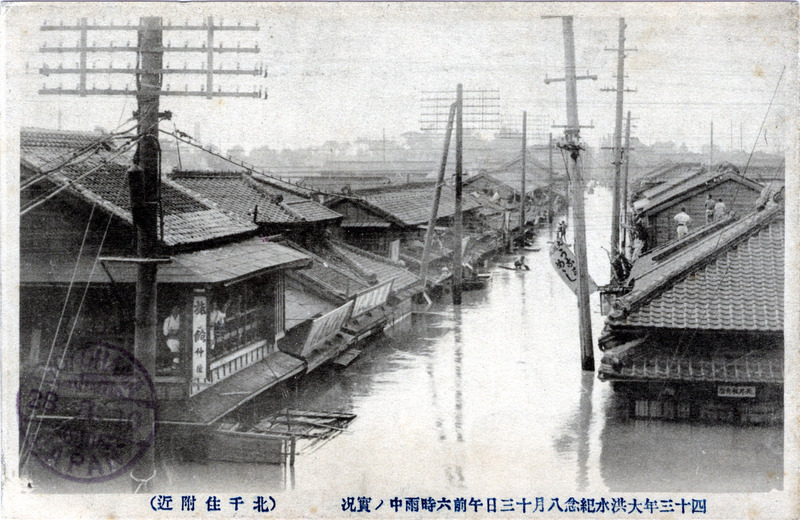 Sumida River flooding, 1910. It was this major flood that motivated the government to construct the Arakawa Drainage Channel.